The Suburban is essentially the "XL" version of the Chevrolet Tahoe--so don't get confused if you're cross-shopping the GMC Yukon and Yukon XL, or the Cadillac Escalade and Escalade ESV. Old-school, mostly in the right ways, the Chevrolet Suburban's survived the big-SUV shakeout for a reason. 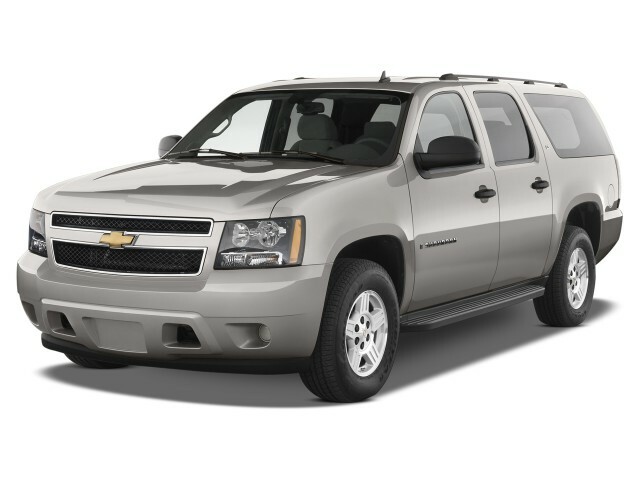 The 2012 Chevrolet Suburban is one of the widest, longest SUVs on sale today. 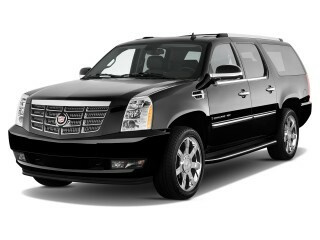 Closely related to GMC's Yukon XL and Cadillac's Escalade ESV, the Suburban about 20 inches longer than the Chevy Tahoe. Most of the additional length (14 inches of it) goes to stretching the SUV's wheelbase, which gives the Suburban more room around its third-row seat and more cargo space behind it. Larger rear doors also give passengers better access to the third-row seat. A heavy-duty Suburban 2500 can tow the heaviest of loads, at a penalty in ride quality and fuel economy; most drivers who need a full-size 'ute will be fine with a Suburban 1500. It's equipped with GM's 5.3-liter V-8 sending its 320 horsepower though a six-speed automatic transmission to either the rear or, optionally, all four wheels. The engine comes with flex-fuel capability and it utilizes cylinder deactivation, which shuts off fuel delivery to four cylinders under low engine demand, to save fuel. 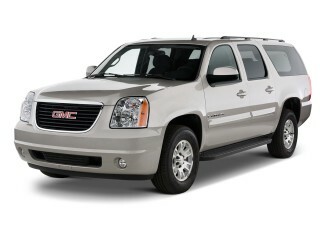 The Suburban's drivetrain is smooth and powerful, delivering EPA-rated fuel economy of 15 mpg city and 21 mpg highway. It can also tow 8,100 pounds behind it when properly equipped for the task. It's not so much about handling in this size class—the Suburban simply keeps good control over its body motions, and does well for its size, though its sheer mass and length can get in the way of maneuverability. 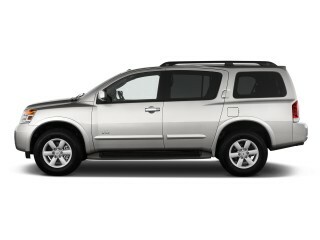 One of its best features is its sophisticated, smooth ride. Inside, the Suburban's passenger cabin rivals some Japanese hotel rooms in sheer volume, encapsulating some 137.4 cubic feet of space behind its first row. First- and second-row seats can be benches or buckets, while its third-row seat is a folding bench that unfortunately doesn't go completely flat when it's not needed, unlike the one equipped in the Ford Expedition. Instead, it can be removed entirely, though that task will require two able-bodied folks to wrestle it out of the interior and into the garage. Even when removed, the Suburban's floor is a minefield of seat-mounting tabs that'll easily scratch furniture if not minded. While its third row is primarily meant to seat children, there's enough room for smaller adults. 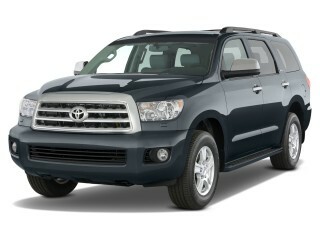 The Suburban is the conveyance for you and eight of your friends and family when so equipped. Just as with the Tahoe, the Suburban offers the choice of three trims—LS, LT, and LTZ—with either rear- or four-wheel drive. Luxury features on offer include Bluetooth connectivity (now standard); a DVD navigation system that's very easy to use and has a clear, large LCD screen; a rear-seat DVD entertainment system; real-time traffic; a rear air conditioner; leather upholstery; power-adjustable pedals; remote start; ventilated seats; heated second-row seats; up to 22-inch wheels; a towing package; luggage racks; and an Autoride electronic suspension. 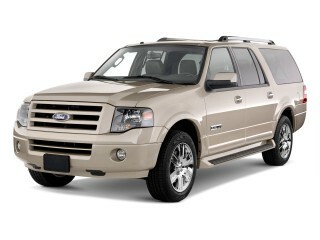 For more information, see our review of the 2012 Chevrolet Tahoe.